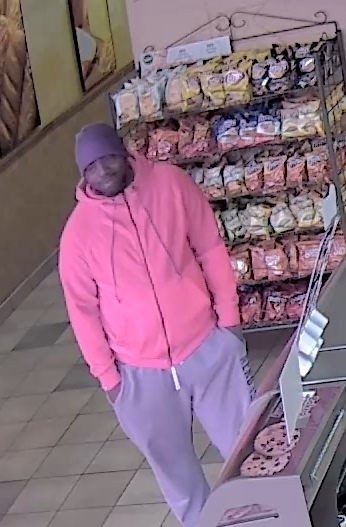 On 6-24-18 this suspect entered family /dollar located at 8404 Madison. The suspect picked up 2 candy bars and placed them on the counter. He waited for the cashier to take care of another customer. 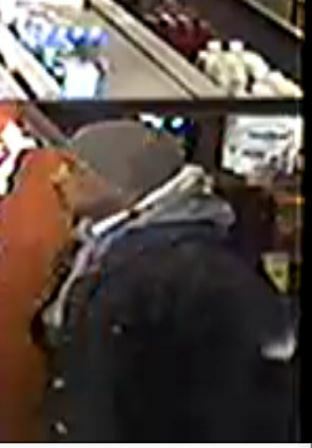 While the register was open this suspect reached over the counter and snatched money from the register. The employee attempted to close the register and briefly struggled with the suspect. The suspect fled e/b on Madison. 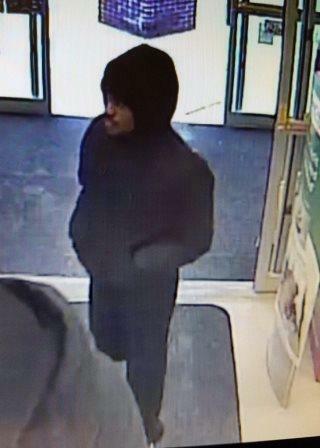 The suspect is described as a B/M 6’175 brown complexion with a goatee wearing a black hoodie and tan pants. 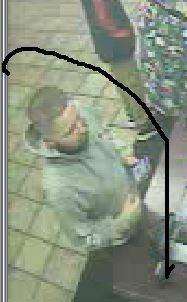 If anyone recognizes this male please contact Crime Stoppers. 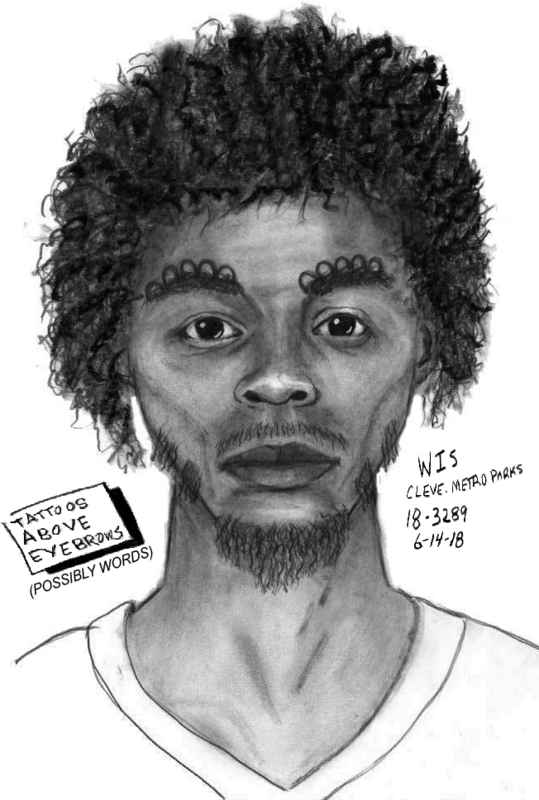 On Saturday, June 9, 2018 at approximately 6:45 a.m., a female jogger was attacked by an unidentified suspect in the Cleveland Metroparks Garfield Park Reservation. The suspect approached the victim on an exercise trail, grabbed her by the throat, and instructed her not to say anything or he would kill her. A violent struggle ensued, during which the suspect overpowered the victim, covered her mouth, and repeatedly punched her in the head. The victim forcibly bit the suspect's finger. Ultimately, the suspect managed to pull his hand free and ran from the scene. He fled northbound from the park, toward the intersection of Broadway Avenue and Chaincraft Road. The area in question is located in Garfield Heights, near Cleveland's fourth police district. - Tan leather work boots. Additionally, the suspect should have a visible, and potentially significant, injury to a finger on his right hand from the victim's bite. A 17 yr old girl was shot in the face and stomach at approx 10pm on Weds night May 2, 2018. She was shot in the parking lot of a store while she walked with friends. If you know anything about this crime contact Crime Stoppers. On Thursday morning (May 3, 2018) at approx 1:15 AM nearly 2 dozen shots were fired at an occupied residence. A ten year old child was struck while he slept in an upstairs bedroom. Somebody knows something. Call Crime Stoppers with information. You can remain anonymous. The shooting happened about 11:30 p.m. on the 7500 block of Decker Avenue in Cleveland's St. Clair-Superior neighborhood. No one was hurt when gunshots were fired toward Cleveland police officers while they were investigating another shooting. While police were investigating the shooting, a van passed the scene, it was the same van from the original shooting. As it passed the scene person(s) unknown fired shots from inside the van toward the house and officers. Van is described as light blue 2005-7 Chrysler Town and Country van. Call Crime Stoppers with information. On 4-5-18 This suspect walked into Boost Mobile located at 5801 Storer Ave. 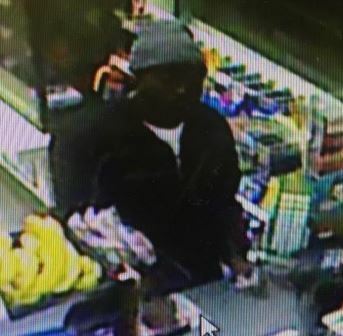 The suspect asked for a couple of items and while the victim was retrieving them the suspect pulled a gun from his jacket and jumped the counter. The suspect demanded cell phones and all the money from the register. The suspect told the victim to walk in the back of the store before fleeing. The suspect is described as a B/M early 20’s 5’7 wearing black Adidas pants with blue stripes and matching tennis shoes and a black hoodie. If anyone recognizes the suspect or has any knowledge of this crime please contact Crime Stoppers. 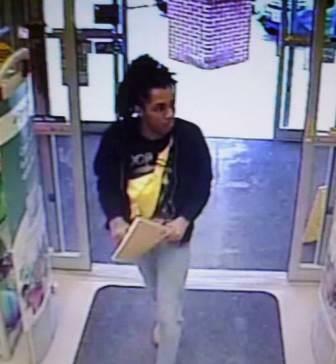 On 3-24-18 this male entered the 7-ll located at 3737 Fulton Rd and attempted to purchase a carton of cigarettes His card was declined and he left the store. 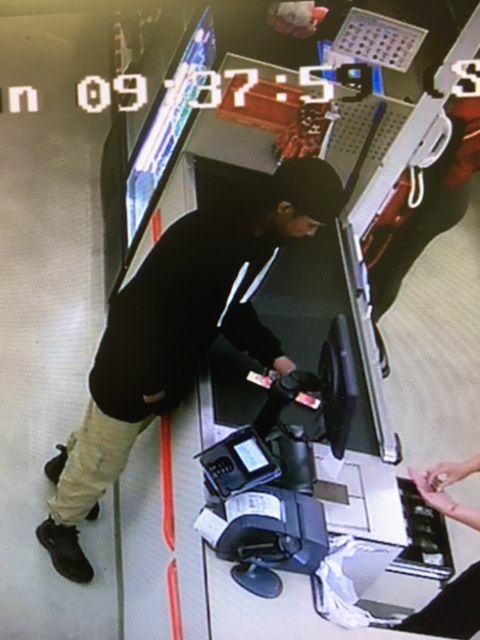 Moments later he returned and told the victim clerk he needed to grab something. The male walked behind the counter and said ”don’t try nothing I got something on me:”. 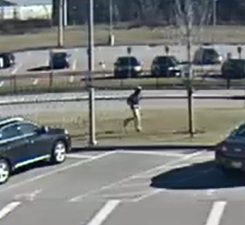 The male grabbed 2 carton of cigarettes and left the store on foot and headed northbound on Fulton Rd. 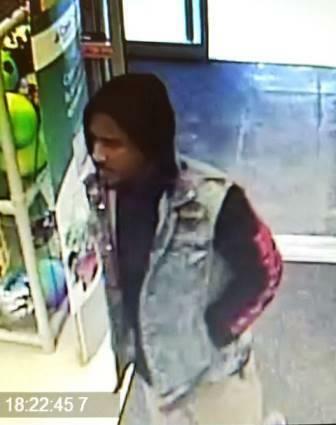 The male is described as a B/M 5’10 mid 30’s wearing a black Nike track jacket black pants black and white Asics shoes and a gray beanie hat. If anyone recognizes this male or has any knowledge of this crime please contact Crime Stoppers. 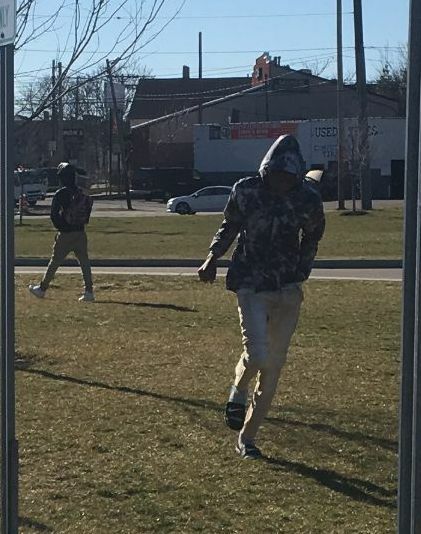 On 4-2-18 at 11:20 am the victim and his cousin were meeting 2 unknown males to sell 2 pairs of Adidas Yeezy shoes at 2000 Denison Ave. 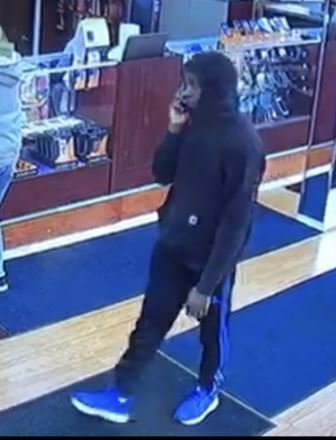 The suspect viewed the shoes and then stated that he forgot his wallet. The victim put the shoes in the back seat of the car went to leave and the suspect pulled a gun on the victim and said “How about I take both”. The second suspect reached into the back seat of the car and took the shoes while the first suspect stood next to the driver’s door and shot the victim in the leg. Both suspects then fled on foot. If anyone recognizes the male suspects or has any knowledge of this crime please contact Crime Stoppers. 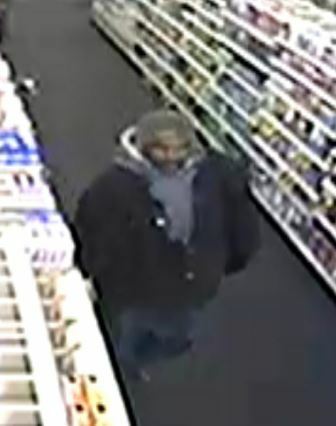 The North Royalton Police Department is seeking your help in identifying individuals that were involved in a robbery of Rite Aid, 13955 State Road, on Thursday, March 15th, at 6:25 p.m. They were last seen fleeing in a grey/silver Toyota Scion westbound on Royalton Road. 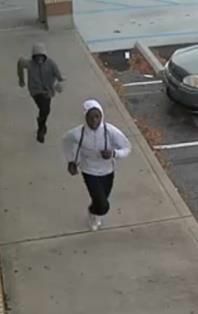 If you can identify these individuals or have information regarding the robbery, please contact Crime Stoppers. office in Pepper Pike on 3/17/18 at 1145am. The door was pried and forced in. A computer wastaken by the suspects. If you recognize either of them or know about the crime contact Crime Stoppers. office in Pepper Pike on 3/17/18 at 1145am. The door was pried and forced in. A computer was taken by the suspects. 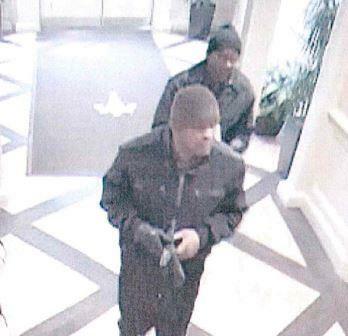 If you recognize either of them or know about the crime contact Crime Stoppers. 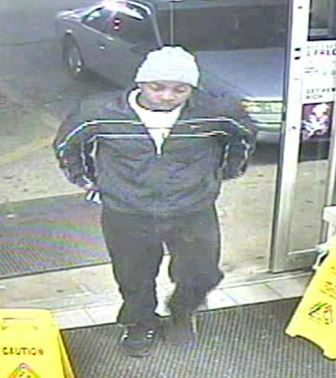 A victim used her credit card at McDonald’s located at 5616 Memphis Ave. The victim noticed her credit card missing 2 days later and after checking with her bank it was found that the credit card was used at several places. 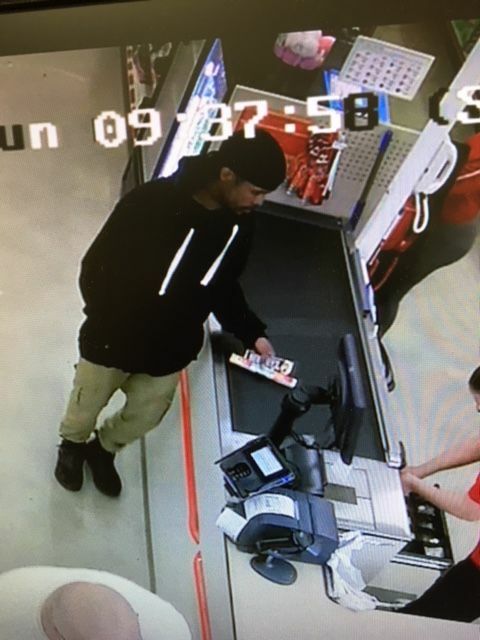 The suspect that took the credit card is pictured above If anyone recognizes the person please contact Crime Stoppers. 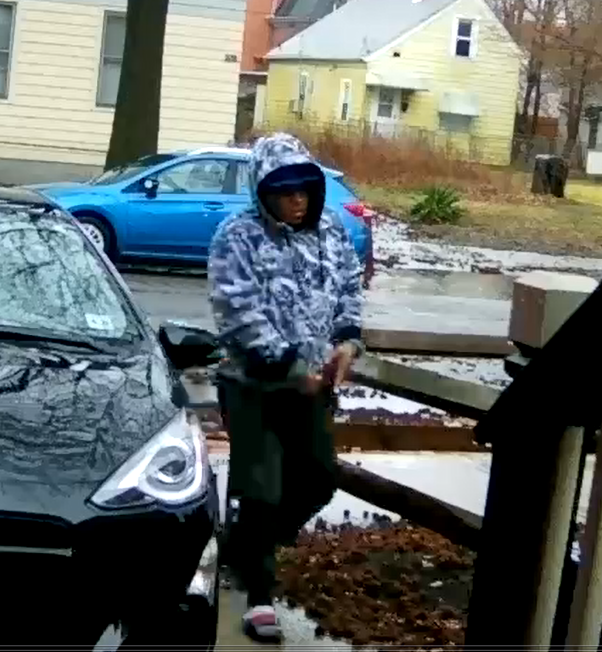 On 2-26-18 this victim went to her car that was parked at Max Hayes school located at 2211 W 65 St. She was sitting in her car when 2 males approached her and asked if they could use her phone. The victim told them to go to the school and use the phone. One suspect started calling her names while the other male reached into her car and snatched her keys from the ignition and fled. The victim used her spare set of keys drove over to the front of Max Hayes and went inside to call the police. 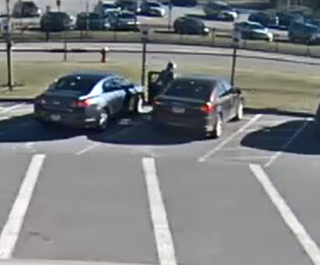 While inside the school, one of the suspects came back and took her brown 2012 Chrysler 200 . 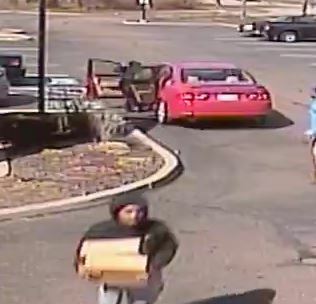 The suspects are described as a light complexion B/M or H/M wearing tan pants a camouflage hooded sweatshirt. 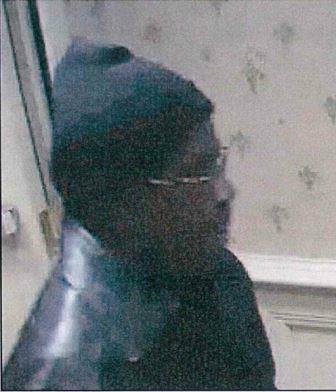 The second suspect is a Black or Hispanic male wearing a dark hooded sweatshirt. If anyone recognizes the suspect clothing or has any knowledge of this crime please contact Crime Stoppers. 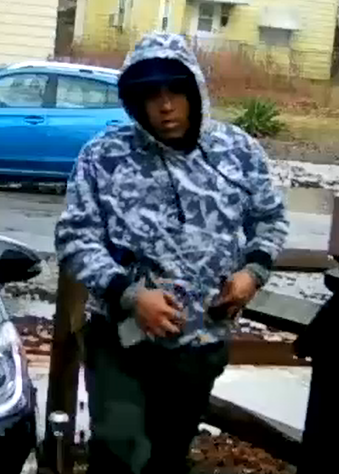 On 3-1-18 at 3:00 pm this suspect came upon a porch at the 1900 block of W 50 St and took a package that UPS had just dropped off. 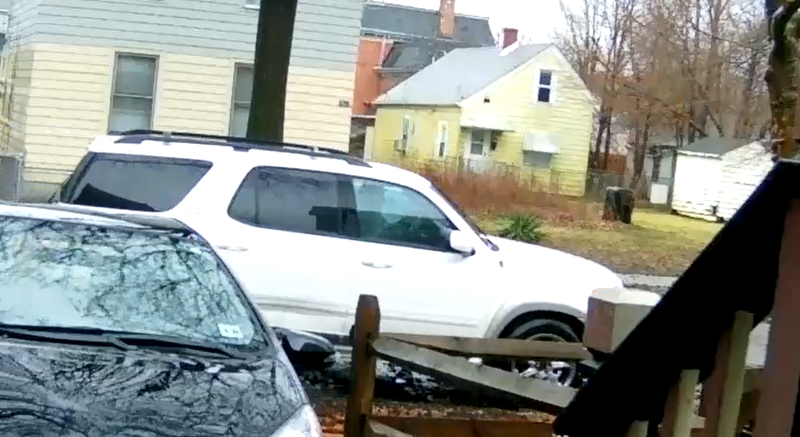 The video shows a newer White SUV with a temp tag pull in front of a neighbor’s house and this male picked up the package. If anyone recognizes the male or has any knowledge of this crime please contact Crime Stoppers. 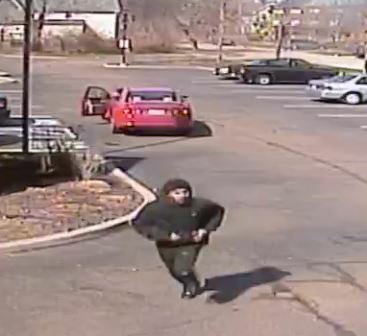 Police need your help in a felonious assault shooting that occurred on 1-9-18 at 1130 pm at Sate & Bader Ave. the victim was driving when a suspect vehicle described as a grey Mitsubishi SUV occupied by 2 b/m’s and a B/F with glasses, pulled up next to the victim and cut him off. The suspect vehicle stopped in front of the victims car and started backing up. A B/M in the rear passenger seat of the suspect vehicle, exited and started shooting at the victim. The victim fled his car on foot and collapsed on Bader with a gunshot wound to the chest. If anyone witnessed anything or has any information of this crime please contact Crime Stoppers. 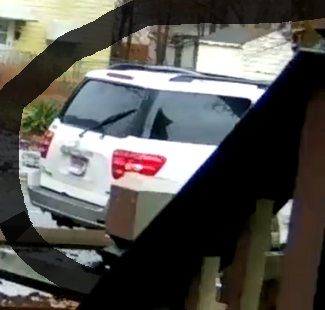 On1 -12-18, 3 suspects broke into a home at the 1000 block of Panna Ln at around 10:00 AM. 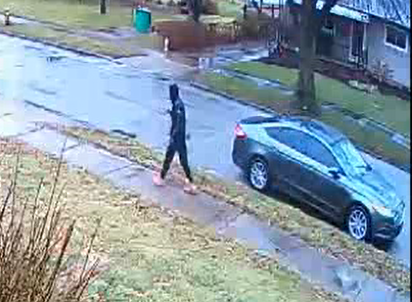 The suspect auto is possibly a grey Ford focus newer model 4 dr. One suspect exited the vehicle and knocked on the front door. The suspect auto then backed into the driveway and the suspects forced the side door open and took 2 TV’s an Xbox 1 and Sony PS-4. If anyone has any knowledge of this crime please contact Crime Stoppers. This is an older case and law enforcement is asking for the public's help in solving it. 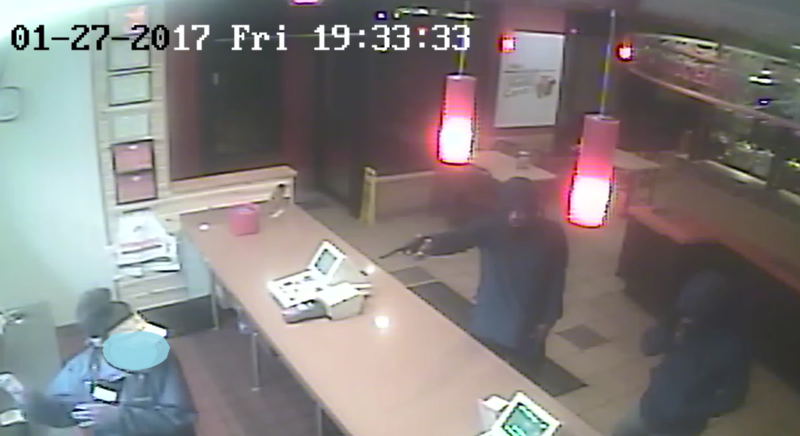 The Popeye's Chicken was robbed at gunpoint back on Jan 27, 2017 at about 7:30pm. The robbers have not been able to be identified yet. There were two (2) suspects. These are the best available pictures. 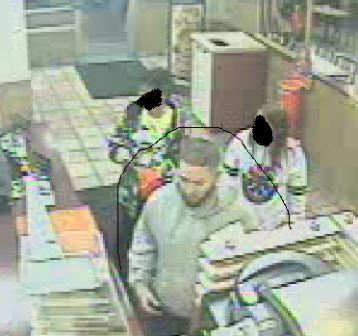 We're hoping someone can recognize them or knows about the crime and who committed it. call Crime Stoppers - you can remain anonymous. 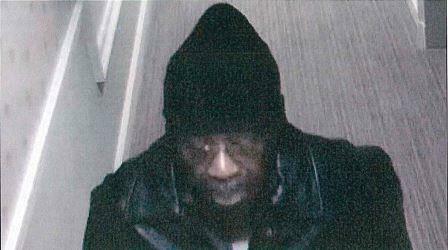 Cleveland Police are asking for help in identifying the suspect in the attached photographs. The Subway at 6510 Harvard was robbed at gunpoint at approximately 1240pm on 11-13-17 by an unknown male wearing a red hooded sweatshirt. If you recognize him or know about this crime please contact Crime Stoppers. The Cleveland Police Dept is asking for assistance from the community. 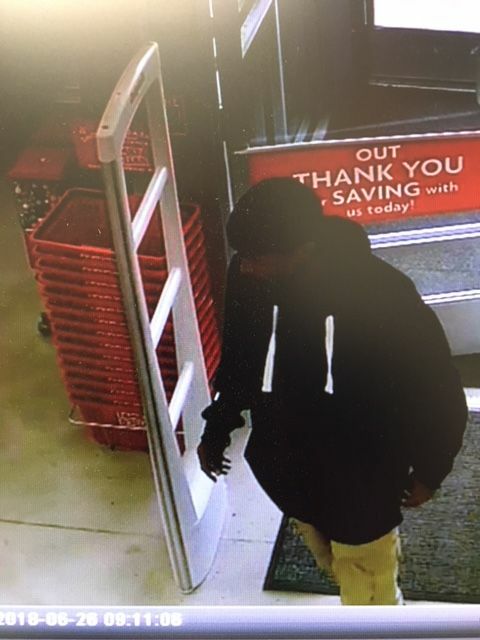 An aggravated robbery occurred at CVS (3171 (West Blvd.) on October 21, 2017 at approx. 12:55 PM. 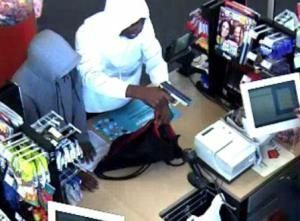 Two suspects approached the register and one suspect brandished a firearm demanding money. 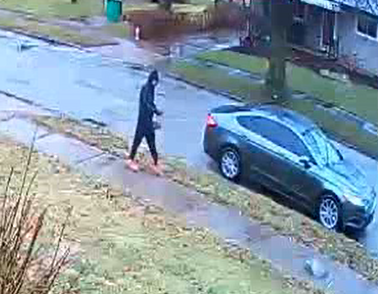 The suspects fled the area on foot eastbound toward Denison Ave.
First suspect is described as a black male wearing a gray hoodie, dark pants, and dark shoes. 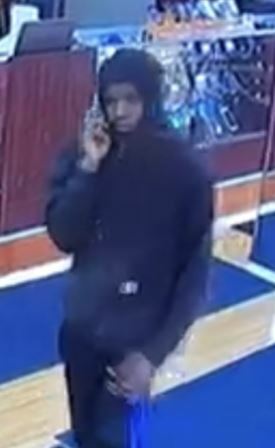 The second suspect is described as a black male wearing a white hoodie, dark pants with possibly Adidas sweat pants underneath, white shoes and a white wristband. If you can assist in identifying the suspects in the photos or have any information, please contact Crime Stoppers.